1. Company pages, home page, and discount post. All these pages are fully copyrighted and may not be copied or used outside this website without written permission. 2. Other posts. These are posted regularly, usually with reviews. These posts are licensed under Creative Commons Attribution-NonDerivatives 4.0 International License. Copy and redistribute the posts in any medium or format – in your blog, mailing list, print magazine, etc. You may do so without asking for permission. Use the work for any purpose, commercial or non-commercial. NOT use images in this website. Keep the content AS-IS (without the images) – no changes are allowed. Keep the links in the content – no changes in destination or anchor. Include an attribution – give credit to Go There Cheaply Staff, Nadav Snir, or include a link back to the original content (with a writing like “Originally posted here” with a link). If you do use this work, we ASK (but not require) to let us know when and where our work was used, for our own tracking purposes. 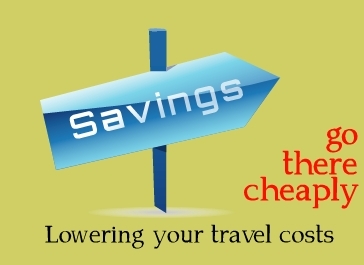 For any questions, please email us at travelers@gotherecheaply.com.